Ceres Organics Pineapple Chunks are derived from organically grown lush pineapples that are harvested when the fruits are at their peak of ripeness. Naturally sweet, with no added sugar, artificial additives, preservatives or colouring. Not only fresh, these healthy chunks are loaded with vitamins and minerals. 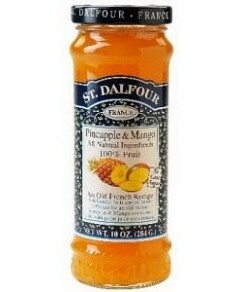 Perfect for use in fruit salads, fruit pies and other baked desserts.